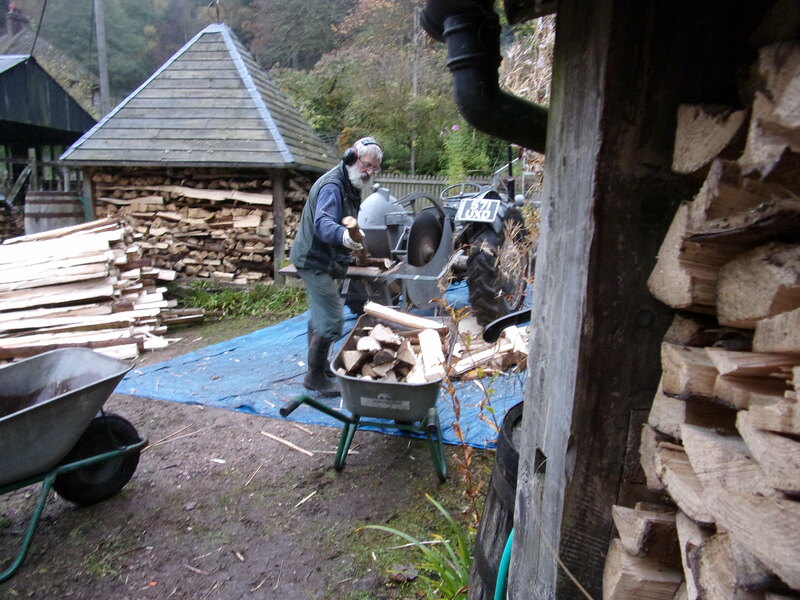 ianmabberley	What's New	Abergavenny, dormouse, Ferguson TEF20, Firewood, green energy, Lars Mytting, Norwegian Wood, Renewable, Sustainable living	Comments Off on Thank you, dormice! About a month ago we had a phone call from our friend Mick (he of pond and Cedric fame) asking if we would be interested in hosting a chainsaw course. Intrigued we asked why. It turned out that he needed to get his certificates up to date and the original venue for the course was now off-limits. The reason: dormice! To cut a long story short, Tom, the tutor, came and had a look and two days later Mick and Mark were being given their instruction. 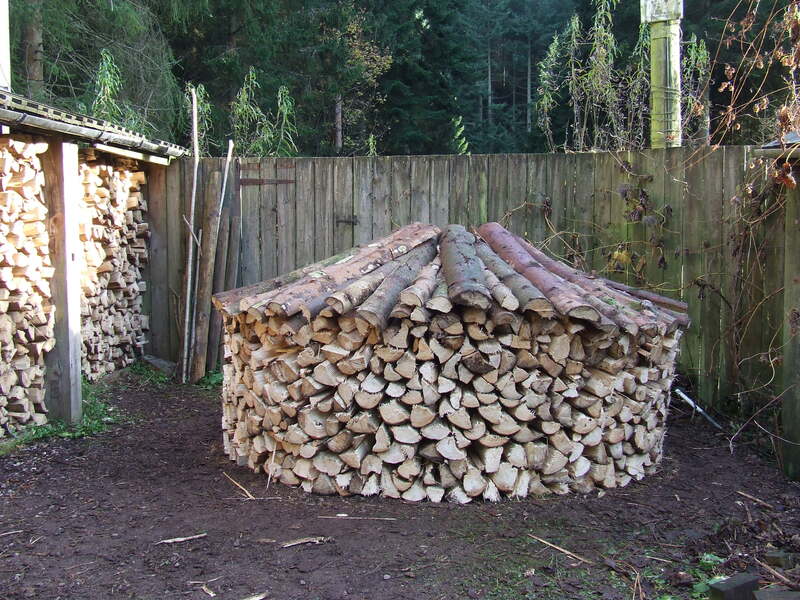 As you would probably expect I’d laid down a few ground rules: all brash to be neatly piled up; all felled trees to be cut to exact 4ft lengths (to accommodate 2x 18in for the Esse cooker and 1x 12in for the Handol woodburner). Over the two days they dropped about 17 trees of varying sizes – most of which they seemed to manage to get ‘hung up’. All good practice for the future I suppose. 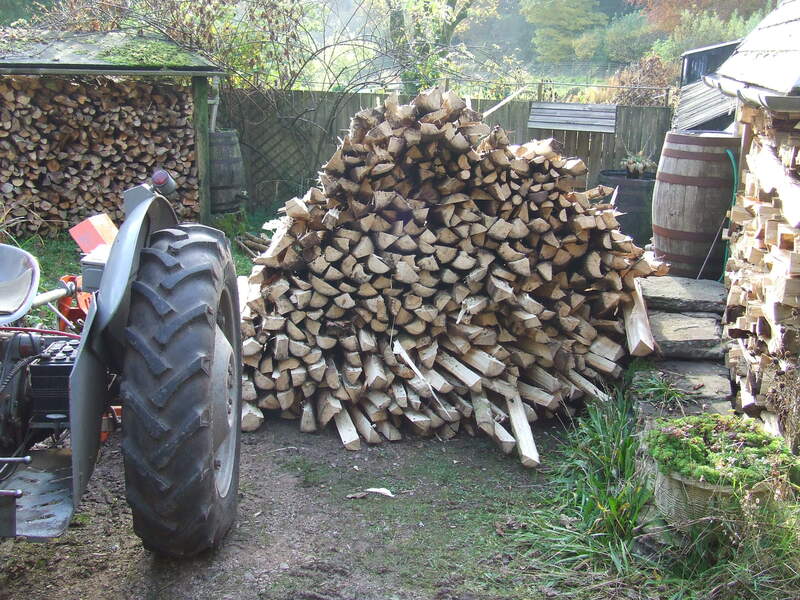 The log piles sat there for a couple of weeks whilst I cleared space in the outdoor woodsheds, then we set to work to get it all up and drying. 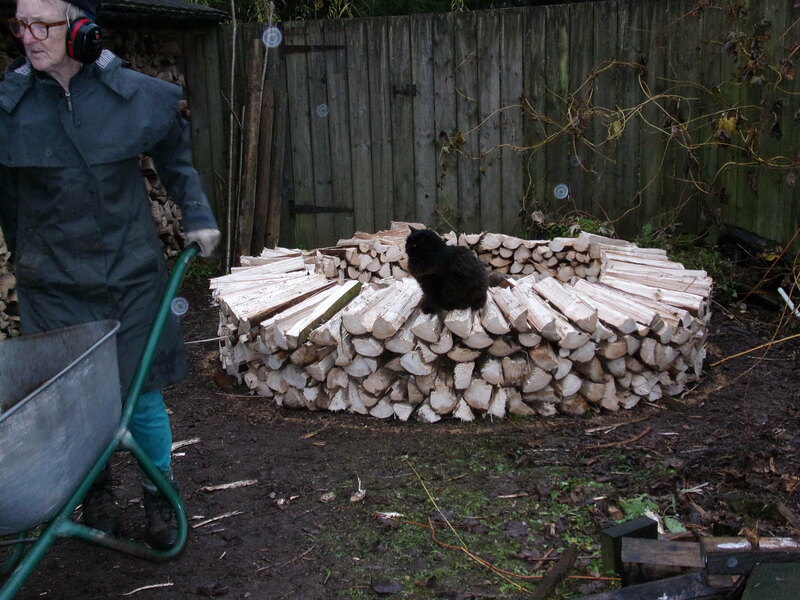 Most of it went into the lean-to sheds, but there was a significant amount still in the forest. At which point Sue had an “idea”!! If our experience is anything to go by, pretty much everyone has now got a copy of Norwegian Wood by Lars Mytting, which must have been last Christmas’ best seller by far. 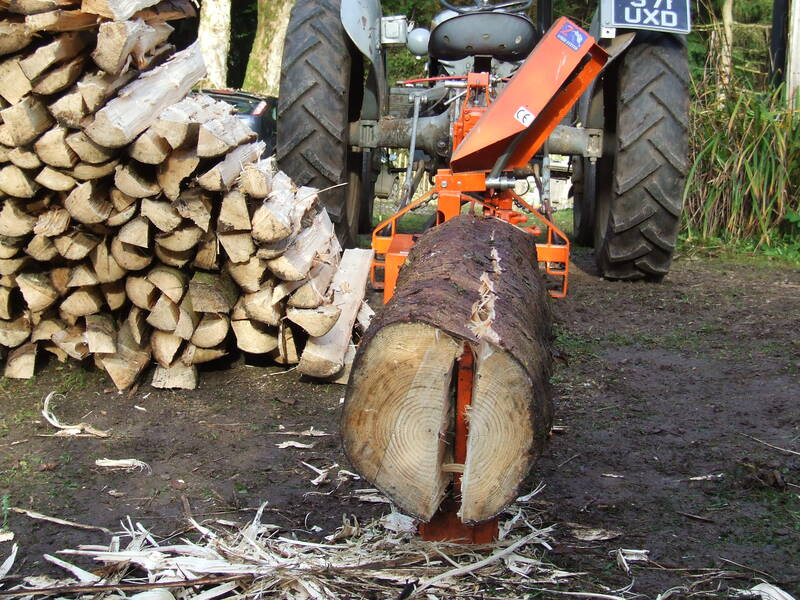 If you haven’t seen it, it is all about cutting, stacking and drying firewood. 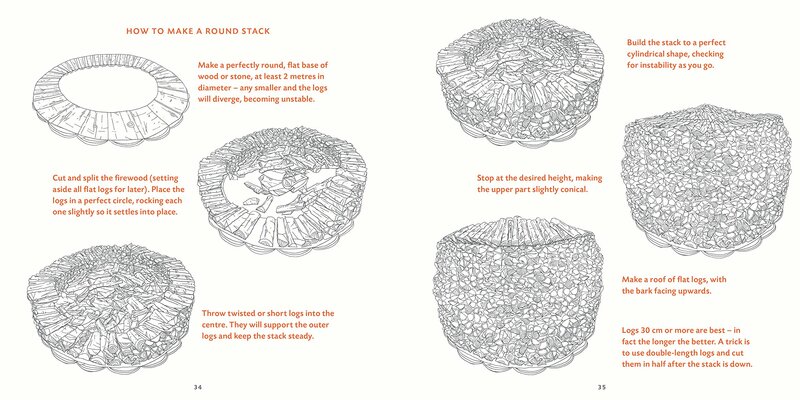 One chapter is about different stacking techniques, one of which is the Holzhauzen. Sue decided that we should have a go at making one. 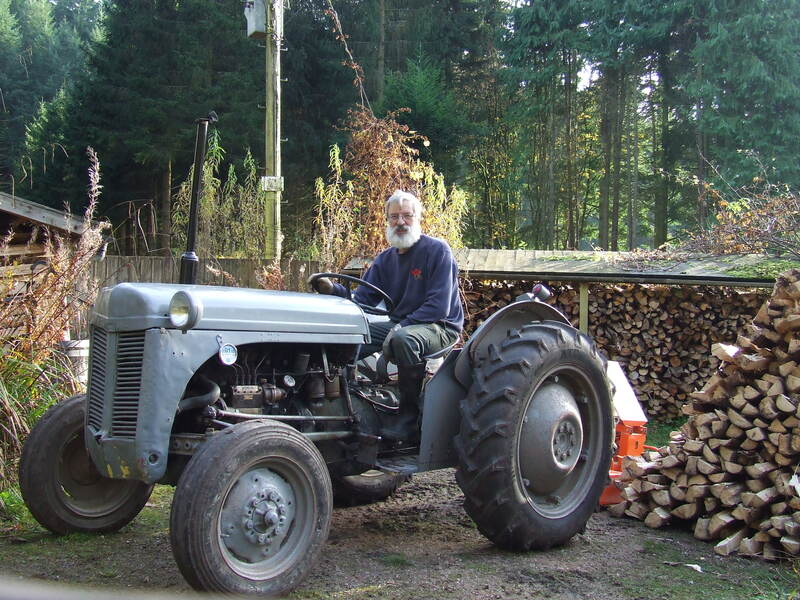 First all the cut lengths had to come up from the forest in the transport box on the Fergie. 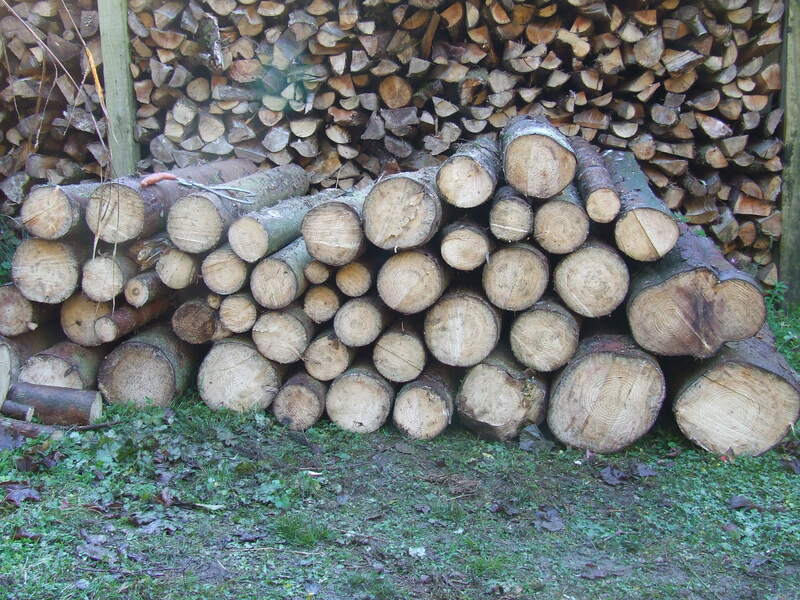 Fortunately I was able to get close to each stack in turn as there were some chunky bits of timber amongst them. In all the Holzhauzen was constructed out of about 95 x 4ft logs of varying widths. I saved the biggest till last! It looked a big pile. ……at which point a couple of 60-somethings had a short rest. 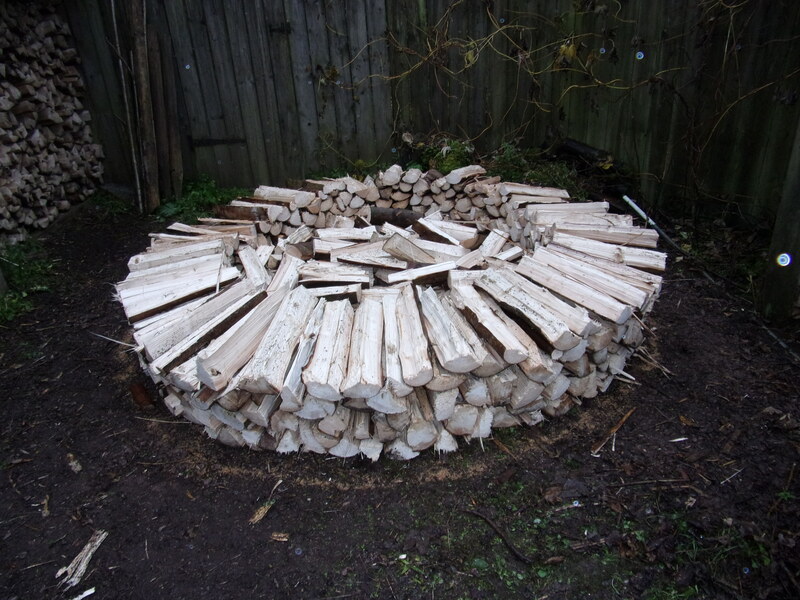 Discussions were then held as to the best length to stack them at, and therefore the size of the finished circle. After trying 3ft lengths, we felt that 18in would be better, with the foot long pieces thrown in the middle. …. and Sue stacking, we soon got into a rhythm and the sides began to rise. At this point we got joined by a cat. Normally, as regular readers will know, Smudge can’t ignore a good work opportunity. But this time it was Emily who decided to come and check out the quality of the work, departing only for yet another turn at the food bowls, she spent most of the afternoon slowly getting higher off the ground. Bad light eventually stopped play – the chickens didn’t get their corn again – with just the ‘roof’ to do. This turned out to be possibly the trickiest bit, but I think we finally got it about right, even though a bit more timber had to be found and another tree dropped. So here it is. Not as tall as some in the book, but a bit different from just putting the wood in sheds. Thanks to: Dormice, Lars Mytting, Tom, Mick and Mark, Fergie and all his hangers on and Emily for Quality Control!